A wonderful opportunity to purchase an established family home in all the right zones - Burnside High, Merrin Street Primary, and Roydvale Primary schools. Walking distance to Coringa Reserve and Burnside Park. 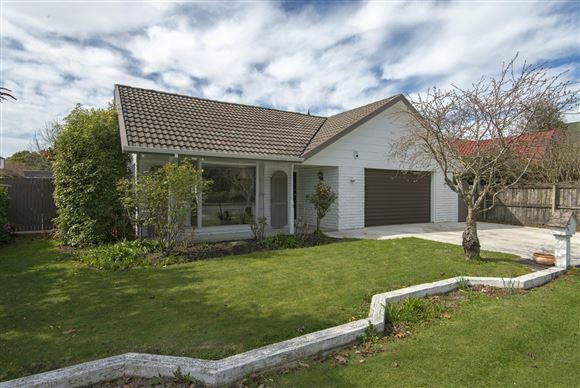 Close proximity to Avonhead Mall, the airport, and Burnside Bowling Club also. Offering three double bedrooms, one bathroom - with separate shower room, modern open plan kitchen/dining, a large family living space, neutral décor throughout. Wonderful flow via the conservatory to a North facing easy care outdoor space - this home thoroughly enjoys a sunny aspect. Double garage with internal access. The bonus - a larger than average sleepout/games room with separate toilet and kitchenette - teenagers and/or extended family will love it! All cosmetic EQC repairs have been remedied, and the new driveway is down, allowing a new family to just move in and enjoy. Scope to further enhance and add your own mark to this already established property. Having truly appreciated living in this home and its location for a number of years, this property is now excess to requirements for our owners. Act quickly - call today and see how this opportunity might meet your wish list. An auction pack is available on request.